There is nothing better than sitting down at night with a comforting mug of hot chocolate. Cadbury Highlights are a guilt free way of enjoying that chocolate taste with only 38 calories. I don’t know about you but I always feel rather indulgent drinking hot chocolate and it definitely gives me that feel good factor. Cadbury highlights are available in some rather delicious flavours including some that I had not tried before, Bourneville dark chocolate, Fudge and Caramel and Hazelnut, they are so easy to make, just add 3 heaped teaspoons to a mug and hot water, it really is that simple. Of course you can always glam it up if you like (although the calorie intake would be higher) and Gee loves the Fudge highlights with a squirt of cream, chocolate shavings and marshmallows, you can be as good or wicked as you like. 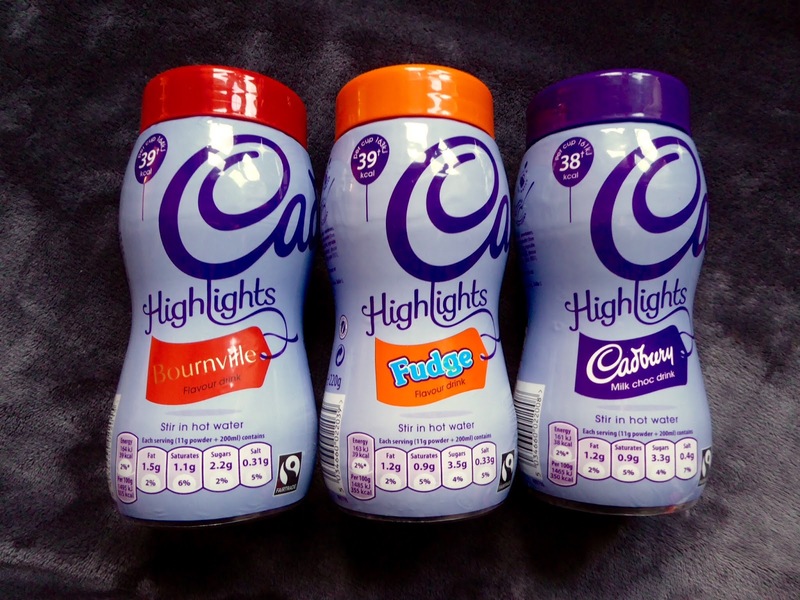 You can buy Cadbury highlights in jars which retail at around £3.89 or single serving sachets which are really handy to pop in your bag and take out with you. I was sent a selection of drinks to try but the opinion is my own.